Today I have MAC Pure Heroine to show you. 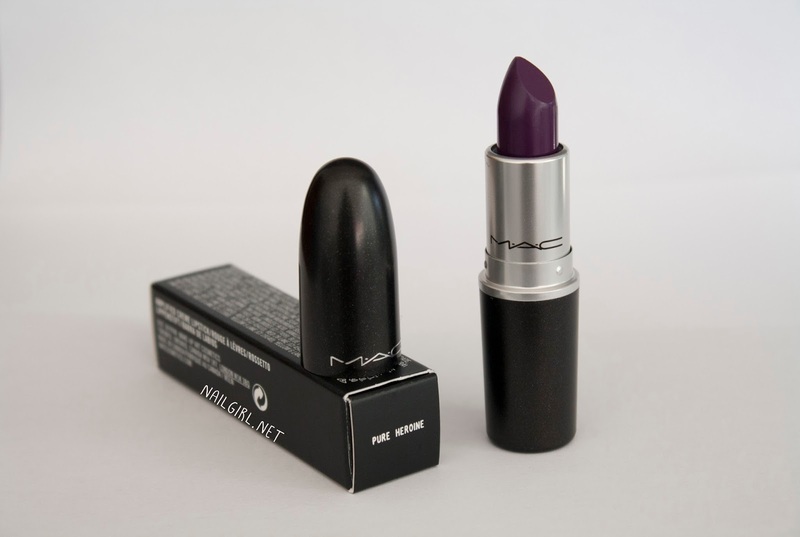 Pure Heroine was the new shade created in the MAC x LORDE collaboration, based on Lorde's signature purple vampy lip. This lipstick is creamy and smooth, and it can be a little bit sheer but is easily built to opacity. So, you can see that Pure Heroine is quite similar to Revlon Shameless, Shameless is just a touch more pigmented and has a more matte finish than Pure Heroine. 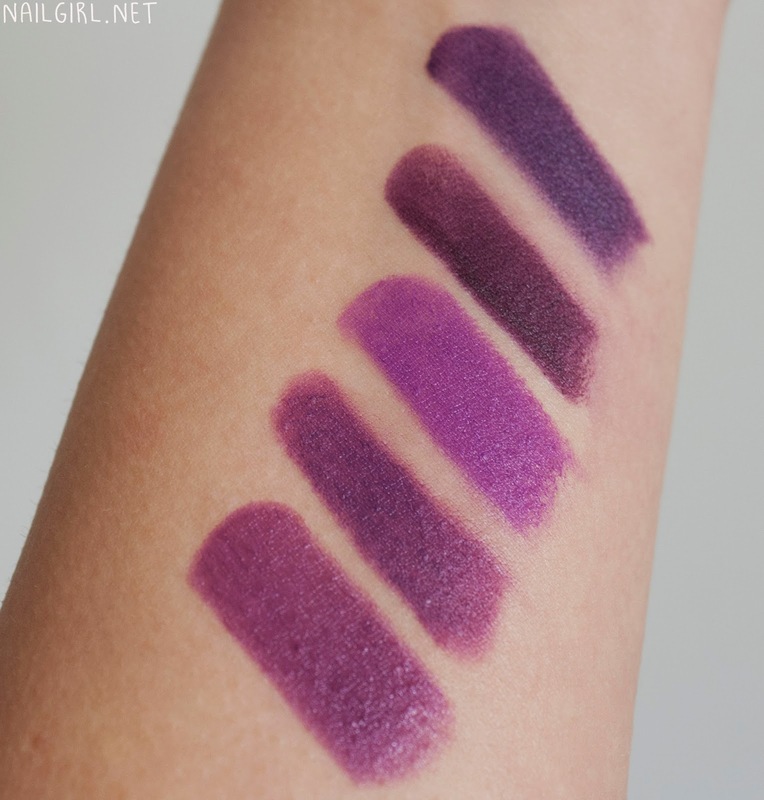 Heroine looks almost pink here, and Instigator looks like a deeper, matte version of Pure Heroine. Punk Couture is a cooler, deeper purple than any of the other shades. If you're not keen on the hefty price tag that comes with MAC LE lipsticks, I would highly recommend picking up Shameless as it's quite similar for half of the price. Not a dupe, but definitely similar. It also has a matte finish, compared to Pure Heroine's Amplified finish. I really, really like Pure Heroine, but I don't think it's a must have unless you are a purple lipstick fanatic (like myself) or a big Lorde fan. I hope you found my swatch and comparisons helpful! Do you have this lippy? What do you think?